Chitradurga is a famous and important district of Karnataka, India. The place is famous for the fort that was built in 11th and 13th century. Chitradurga is located 200Km from Bangalore city and is easily accessible by road and rail. By road the distance can be covered by 4 hrs. The stunning boulders and hillocks makes you feel of revisiting the history. Chitradurga is derived from the Kannada word chitra means picture and Durga means fort. In the local language that is Kannada the fort is called as kallina kote (which means stone fort). Chitradurga is located on the valley of River Vedavathi making it a perfect place tourists place and to enjoy the natural beauty of the place. The city attracts thousands of tourists every year. The place has many tourists attractions like Chandravalli caves, Chitradurga fort, onake obavanna kindi( window type) and many temples inside the fort itself. Chandravali caves are present between three hills namely Chitradurga, Chologudda and Kirubannakallu. Chitradurga fort is world famous fort built around 11th and 13th century. 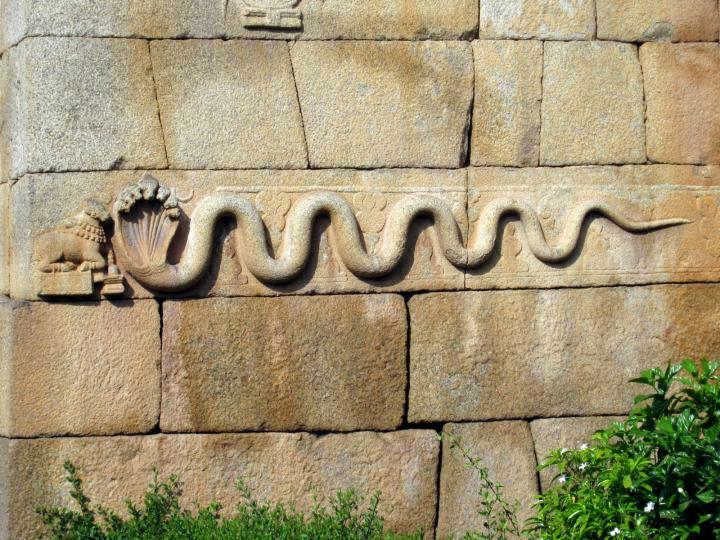 The fort was built by different rulers of Chalukyas, Hoysalas and the Vijayanagara Empire. When the Vijayanagara empire ended the Nayakas of the empire took independent charge of the fort. During this period the Nayakas did lot of expansion of the fort. However in the year 1779 Hyder Ali defeated the Nayakas and took control of the fort. Later after 20years the British rulers took control of the fort from Tipu sultan. The fort has a very interesting and stunning history. A rock cut edict of the emperor Ashoka near Brahamgiri reveal the existence of Mauryan Empire in Chitradurga district along with rulers of Chalukyas, Hoysalas and Vijayanagara Empire. After the fall of Hoysala the fort came under the control of Vijayanagara empire. Vijayanagara Empire brought Nayakas (local head of the area) under their control until the end of their reign in 1565 AD. After that the Nayakas took independent control of the fort and started ruling the fort for nearly 200years. The last rulers of Nayaka Madakari Nayak were defeated by Hyder Ali in 1779 and took control of the fort. The period of the Nayakas was the best period for the Chitradurga fort and is also very interesting to read. Timmana Nayaka was a important chieftain in Vijayanagara empire. Because of his honesty and his excellent achievements in the military work he was appointed as Governor of Chitradurga. He was controlling the areas of Chitradurga, Davengere, Jaglur and Harihara. After the death of Timmana Nayaka his son madakari Nayaka or Obana Nayaka succeeded him. Until 1689 many Nayakas ruled. In the year 1689 Bharamappa Nayaka took under his control he ruled from 1689 to 1722 and is considered as one of the greatest rulers of the nayaks. He fought several wars with the Mughals. 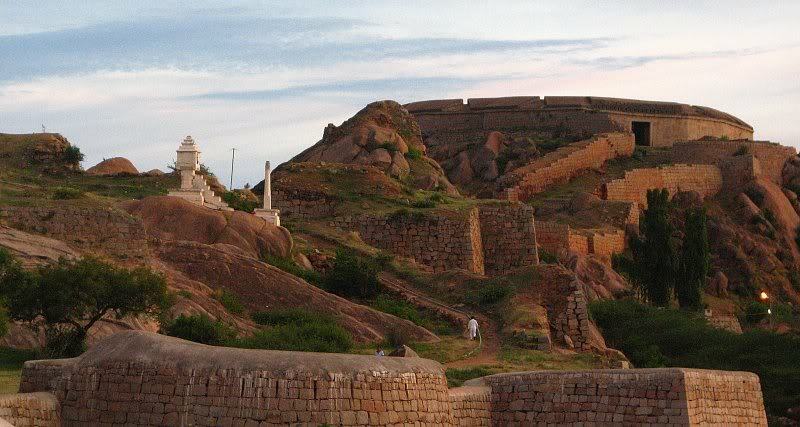 The fort is built on the rocky hills of Giridurga which is located around 1Km from the main city of Chitradurga. The fort is fortified with seven circular walls hence it is also known as yelu sutina kote (seven circular fort). The main entrance of fort has a seven hooded cobra , the twin headed bird, Gandaberunda, the royal swan Rajhamsa and a lotus flower. The seven circular fortifications have several openings, a citadel, masjid, water reservoirs and ancient temples. The residential area is located near the base of the fort. The fort consists of 19 gates and 38 entrance and 35 secret entrances, four invisible passages, water tanks, around 2000 watch towers. The fort was built mainly for the defence purpose. The design of the fort is made with lot of intelligence and hard work like the store house, pits and reserviors were used for storing of food, water and other military supplies. Each entrance of the fort has spiral corridors making it difficult for the enemies to attack. The four gates that have outermost walls are Rangayyana Bagilu, Siddayyana Bagilu, Ucchangi Bagilu and Lalkote Bagilu. The entrance gate which is facing towards the east has Bahamni architecture. The most astonishing feature of the fort is that it was built in mud. Later on the walls were strengthened with granite slabs. But no cement is used to join the granite slabs. Uchchangiamma or Uthsavamba: a deity of Nayakas palegars. Other than these some other temples that are present here are of Lord Hanuman, Ekanathamma, Nandi and Phalguneshwara. 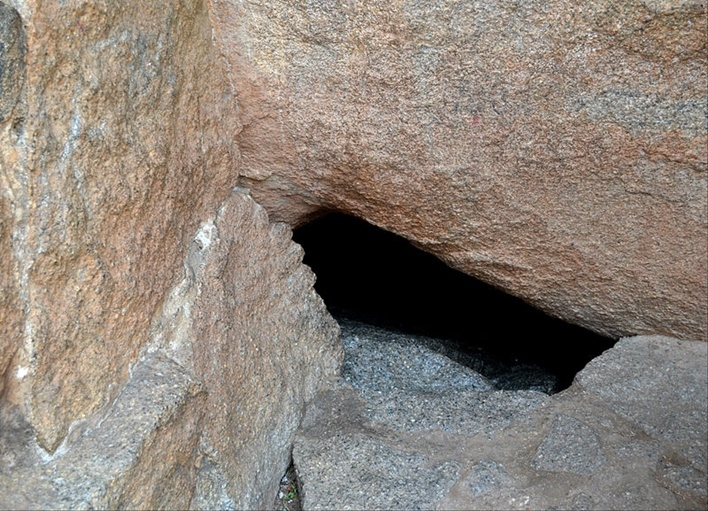 One should not miss to see Onake Obavvana Kindi inside Chitradurga fort. This is the place where Obavva killed many soldiers of Hyder Ali and saved the fort. Chitradurga railway station is well connected from all the cities of Karnataka and also across India. It will take about 3.30 hrs to reach from Bangalore to Chitradurga. One can take Bangalore flight and from Bangalore airport take a cab and drive down. Vani Vilas Sagar Dam, Ankali Mutt, Hidimbeshwar temple and Kallina Kote are the few tourist places around Chitradurga.